Located near the southern end of the of WA's coral coast, Jurien Bay is a well-known WA crayfishing town we've been meaning to visit for years. We finally found the perfect excuse to spend a few days up there exploring. A short 2 hours’ drive north from Perth (we always thought it was further!) meant we arrived into town just in time to grab some great pies from the local bakery for lunch- planned that well! This trip was organised for a friends birthday, which meant we were able to explore with our friends while also having the luxury of setting up our rooftop tent in the backyard. We had arrived on a hot Saturday, so we quickly headed to town beach for a swim and relax. The sea breeze had just set in and the water was chilly to say the least, Mr thought it was way to cold to get in so watched us splash and cool off! The day ended as all balmy days should… with a BBQ and a few drinks while we made plans for the next couple of days. The next morning Mr. mentioned he had a surprisingly great coffee from the Jurien Jetty Café, which helped him get going. Our 1st day out we headed out of town along Jurien Rd then onto Cockleshell Gully Rd which is unsealed. A few corrugations brought back memories of our Kimberley trip but the dust brought about the most radio chatter as the last car in our convoy had no aircon and was enjoying the refreshing breeze of open windows. The road snakes it's way through Lesuer NP which is supposed to be quite spectacular in spring, full of wildflowers, there's a scenic route off the main road with a few bush walks and a great view from the peak of Mt Lesuer. At the end of the road is Stockyard Gully Cave (inside the Stockyard Gully NP). Do yourselves a favour and check it out! It was great and we were surprisingly shareing it with only a couple of other people. The walk involves a 1.3km round trip, you have to meander through the bush, scramble up some rocks before you enter the cave. Make sure you bring torches because there is no light and it is surprising long – but a great way to escape the heat! The cave has resident bats but we didn’t get to meet any this time and apparently is prone to flash flooding and can be a flowing river in winter- cool huh! After being inland for most of the morning we decided we better head for the coast, so Sandy Cape was our next stop for a quick swim. Sandy Cape was one of the most anticipated places to visit on this trip, we have heard from many people how amazing the camping is but it is very popular now days, you really need to get there early to find a spot. We only drove into one of the main camping areas this time to access the southern beach. Many a caravan and 2WD vehicle filled the spots here but the real draw to this place for us is that you can head north into the sand dunes to find your own piece of paradise, and after a swim at the southern beach where the parking was more like a suburban shopping centre, the solitude these northern camp sites could provide had Mr chomping at the bit to get there. Back to Jurien in the afternoon we managed a little bit of fishing from the Jetty and some time for Mr to trek up and down the beach trying to take a decent photo or two. Our final sleep for the trip was interrupted in the early mornings by the sprinklers coming on, thank god we had brought the rooftop tent to keep us high and dry! At least the dust from the previous day was washed off the car. 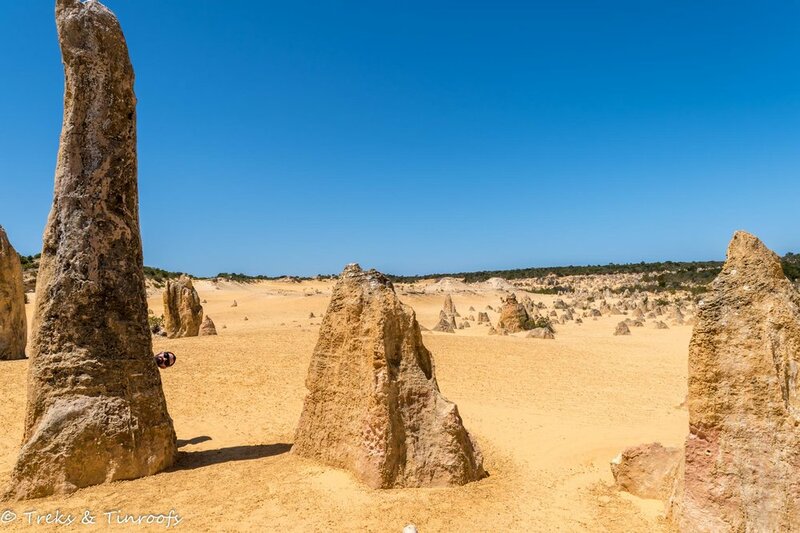 Our final stops on this trip involved one major other attraction of the area to us, The Pinnacles. 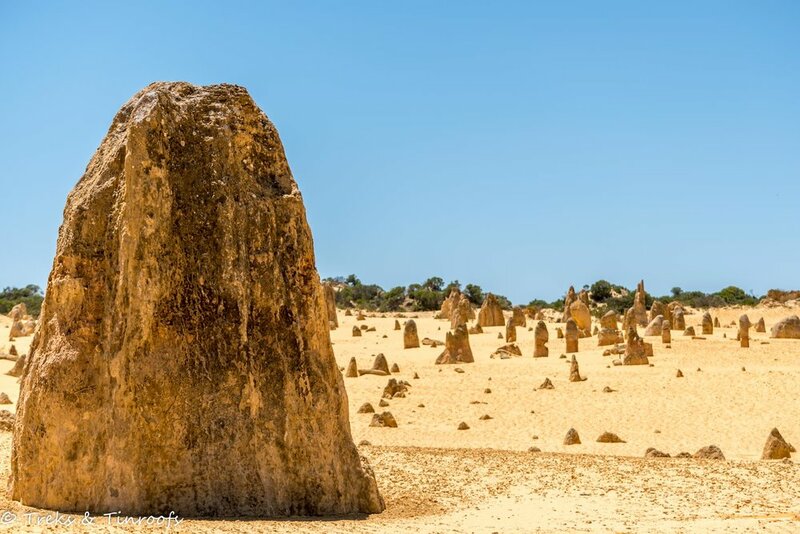 Nambung National Park just south of Cervantes is the site where these odd limestone artifacts lay in their thousands. 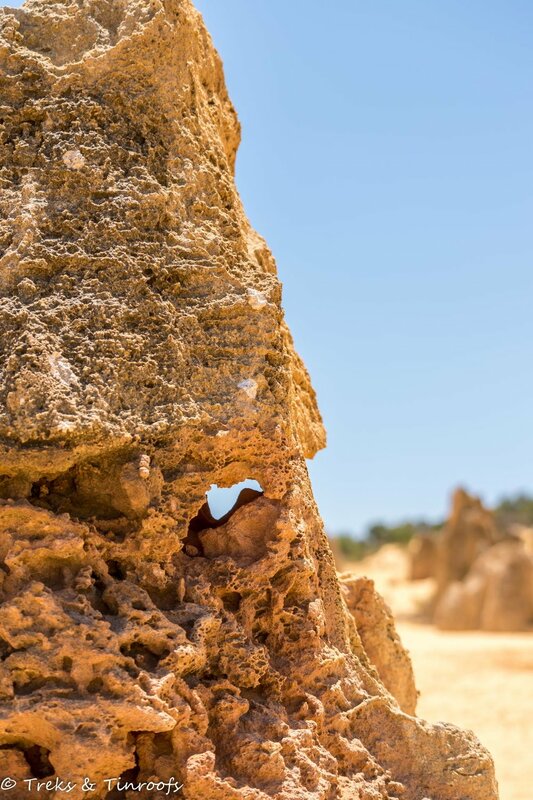 You could literally spend days walking amongst the rocks searching for that perfect shape or amazing photo. We only managed an hour or so this time but plans are already in the making to get back for a sunrise or sunset, where the long shadows and beautiful colours will come alive. A last quick stop in Cervantes to Lake Thetis, home of weird but wonderful stromatolites. Slightly underwhelming on this occasion, we have now learnt the best time to be here is in the late summer when the Lake is at it's lowest water level from evaporation. A more well known location to see these living fossils in WA is Hamelin Pool near Shark Bay, Somewhere on our to do list soon. From here it was a wildly windy drive home. 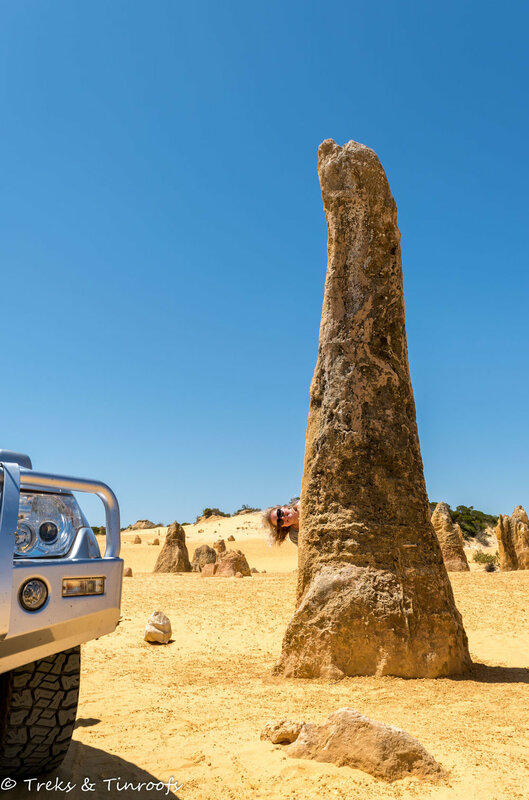 If you enjoyed our view of the Jurien Bay area or have some suggestions on where we could visit next time we are in the area let us know in the comment section below, and please take the time to check out the rest of our adventures along the Coral Coast.